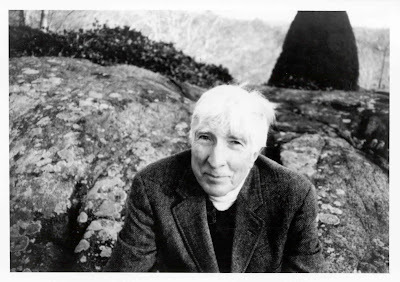 It has been more than a week since John Updike’s death was reported in the UK media and there are still articles and comments about him in the press. I cannot remember another writer’s death that has caused such an outpouring and it is a measure of the esteem in which he was held. Here’s something I wonder about: is there a contradiction between Updike the polite, conservative upholder of old-fashioned values, with his jackets and ties and collegiate appearance and his lovely short stories that capture the little joys and sadness of family life; and Updike, the man who divorced, who disrupted the classic suburban family, who arguably behaved in anything but that conservative way. I love his writing, but I worry that there isn’t a trail of hurt somewhere; that his children may have a different view. Inevitably, one finds it difficult to separate the life from the art. I’m sure I remember reading an interview with his son David – whose short stories Out on the Marsh were published in the UK – in which he evaded a question about those years. One doesn’t know the details, but I just worry that his children may read all the tributes and think ‘That’s all very well, but I was there and it hurt’. Yet of course, it must have hurt Updike too. Forgive me for the above; in some ways, since Updike is American I don’t feel he is one of ours to talk about. But there, I’ve done it now. And for stories such as ‘The Family Meadow’ he will always be one of my favourite writers.